Whatever your style, made-to-measure Shutters create a stunning look that's the perfect fit for your home. They're practical too - crafted to order from the finest materials and in a range of natural wood stains and neutral painted shades to suit your décor, they're durable and give amazing control over light and privacy. Close you're Shutters completely and you'll find that not only do they give maximum privacy and security, but that they also help to filter out external noise to create a cosy haven indoors. 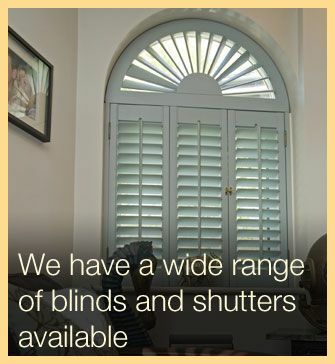 Interior shutters offer a stylish alternative to other window dressings, and with their different styles are able to offer the options of full height, tier on tier or cafe style.